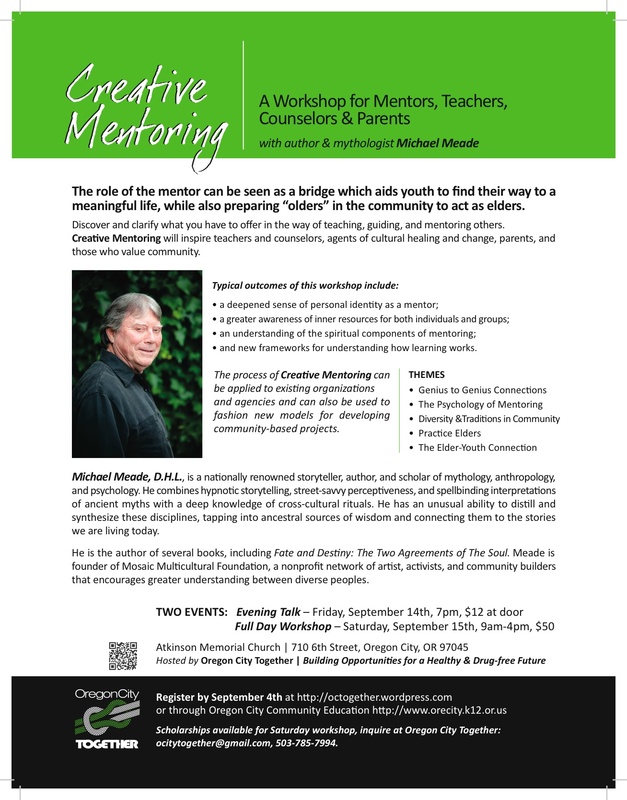 Online registration is now open for Michael Meade’s workshop on September 15th. Follow this link to reserve your space online. *Late registration is welcome. Please contact Oregon City Together if the $50 fee is a challenge — no one will be turned away for lack of funds.